The HRD Ministry on 23rd June gave its approval to conduct common counselling for admission to seven Indian Institutes of Science Education & Research (IISERs) in conjunction with IITs and NITs. This would be implemented from the year 2017. 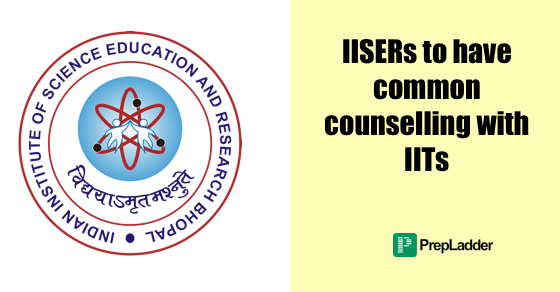 IITs and NITs had introduced common counselling last year. Though the IISERs were enthusiastic about the conduct of common counselling from this year, the ministry responded that counselling should not be rushed. After a day-long meeting of the standing committee of IISERs, a highly placed source said that the ministry advised caution. He further said that common counselling has always found support among the students. As per the sources, there are 1,120 seats available in the seven IISERs. The five campuses in Kolkata, Pune, Mohali, Bhopal and Trivandrum have 200 seats each while newer centres in Tirupati and Behrampur have 60 seats each. Likewise IITs, it has been decided that 15% of the additional strength of each IISER will be made accessible to foreign students subject to the condition that the candidates will have to qualify the Joint Entrance Test. The gateway to IISERs for Indian students is through three routes: Either by Qualifying JEE or by bagging Kishore Vaigyanik Protshahan Yojna (KVPY) awards or emerging among the top 1% of each school board including CBSE. The fee structure for NRI students studying in India and getting admission through one of the three routes would be the same as for Indians. A source said that the foreign nationals would also be allowed admission to post-doctoral research subject to the condition that they will have to fulfil all the existing criteria. In little less than a decade, the five original IISERs which started during UPA-I have made a mark with their innovative research in various fields, especially in biotechnology. A senior official stated that IISERs are just below Indian Institute of Science in terms of ranking and research. Output-wise, each IISER has 6-7 US patents and have on an average nearly 1000 research papers published in International journals.